Are you still using vulnerable floppy disks when there are many other reliable options of feeding the data to systems? If the answer is yes, then there is a good news for you since now you can convert the obsolete floppy disk drives to USB reading devices. There are many industrial machines like CNC, embroidery machines, milling and control systems which are still fitted with legacy floppy disk drives and all these floppy disk drives can be replaced with USB FDD (floppy disk drive) emulator. Why you need to replace floppies. Today, the availability of floppy diskettes is scarce. The life cycle of floppy disks is small since they are prone to dust, moisture and needs careful handling. The floppies are designed as low-capacity storage media since the maximum size of floppies is only 1.44Mb. The floppy diskettes are sensitive since even a minor head re-alignment of floppy disk drive can damage the media. Identical connection. 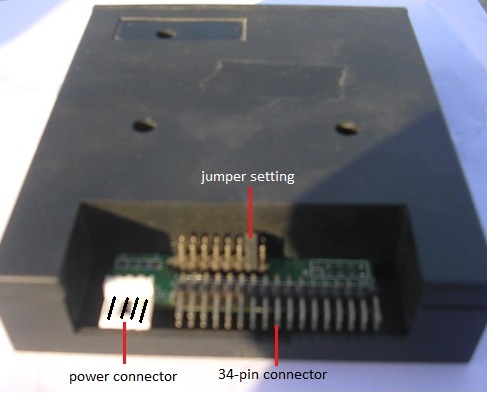 The FDD emulator has similar interface connectors of 34-pin data connector and 4-pin power connector as found in floppy drives. Plug-n-Play. Installation is simple since you have to do only physical connections and there is no need of any software drivers. High Capacity. The capacity to transfer data is increased multi-folds since USB-drives or pen drives have larger capacity as compared to floppy disks. You can convert and store 100 floppies in USB Floppy Emulator. Reliability. Unlike floppy diskettes, the USB sticks are not effected by environment conditions and are more secure. Better UI. The floppy drive emulator is equipped with front LEDs showing power and busy signals. 2-digit display lets you know the floppy diskette number, the device is reading and you have the option to select a particular floppy number by pressing up and down buttons. The FDD emulator is a device that can replace outdated floppies with next generation USB drives. The emulator is compatible with most of the legacy devices including Yamaha keyboard and Ketron instruments. Since the availability of floppy diskettes is diminishing day by day, it’s better to take the timely action and replace the obsolete Floppy disk drives with innovative USB Floppy emulator.